How many times have you been approached by a sales person, whether in person, phone, email or ads flashing in your web browser – and the product or service being promoted has little or no value to you? 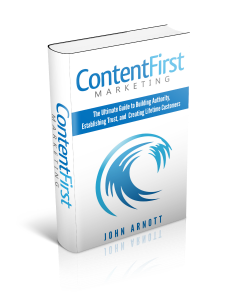 ContentFirst.Marketing was created with one key principle in mind. No matter what you are doing to market your business, first you must provide your prospects with something they find valuable. To build a relationship with a prospect, turn that prospect into a customer and ultimately a lifelong customer, you need to be continually providing something useful, something valuable each time they interact with you. This builds interest, then trust, and then that trust converts to an action, such as signing up to receive your newsletter or purchasing your product. We believe that content – well-researched, well-written content that fulfills a prospect’s or customer’s needs – is the cornerstone for forming long-term relationships. At ContentFirst.Marketing, we do the research to determine your customers’ needs. We are writers, scientists, technologists and marketers. We leverage our expertise and ingenuity to create and manage your content development – we create content that adds value, and can also be reused and repurposed for different marketing channels and mediums. We help you develop a digital marketing strategy, beginning with creating content that search engines and customers love. We help you build authority via social media and show you how to measure customer engagement with your content. Learn more about our expertise by reading one of our books. Let us answer your questions and put your business on a trajectory to success.